We took a bus from Atsugi to Haneda Airport for our flight to Nagasaki Airport. 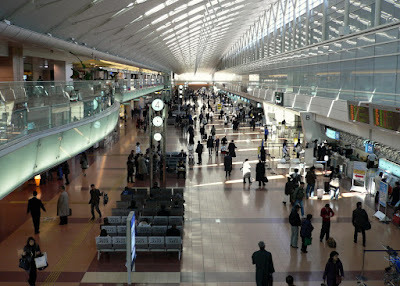 While in Haneda I took a few pictures. Here's one of Terminal 2, the domestic terminal. This is the departure level. The gates are off to the right in this shot. The bright area near the right center is one of the security entrances leading to the gates. 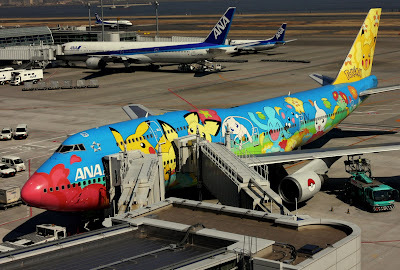 Here's a shot of one of All Nippon Airways' jets...they're not all painted like this. The Japanese love their cartoons.